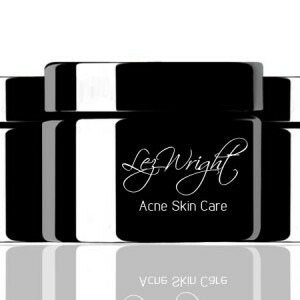 Like all Lez Wright Products, this acne skin care product is exclusively hand made using only the finest ingredients. Formulated with calcium bentonite clay and natural magnesium chloride from the dead sea. Lez Wright Acne Skin Care reduces the formation of sebum, which subsequently results in a reduction of acne and redness. Remove by rinsing with plenty of warm water. Use 3 to 4 times a week. Like all our skin care products this Mud Face Mask is exclusively hand made using only the finest ingredients. Formulated with calcium bentonite clay and natural magnesium chloride from the dead sea, this Mud Face Mask promises to enhance, refresh and illuminate your complexion. Lez Wright Mud Face Mask has a slight intense stiffness when dry but after rinsing off, your skin is left looking and feeling brighter, vibrant, moisturised and deeply cleansed. Apply Mud Face Mask to face & throat. Leave on for 10-15 minutes. To remove rinse with plenty of warm water. Taking care of your face is just as important today as it ever was. First impressions count so if you want to look radiant and make an impression then you need your face to look it’s best. Lez Wright’s Face & Body Scrub will help you get your skin in shape by deep cleansing the pores of your skin and leaving your face revitalized. Directions: Gently massage Body & Face Scrub into the skin. To remove rinse with plenty of warm water. Use 2 to 3 times a week. Easy Directions: When applying Body & Face Scrub to wet skin, simply massage into the skin, then rinse or shower off. Remember a little goes a long way.